A 4 member team of representative of Full Time Contractual College Teachers visited the Personal Secretary to Higher Education Minister and learned that the Government Order is under process. A letter seeking appointment of H.E. 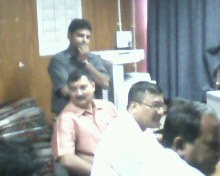 Minister along with a draft sheet of demand and signature of 220+ college teachers has been forwarded to the H.E. Minister. 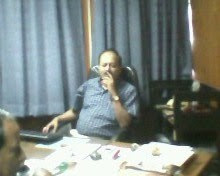 The mass deputation at Bikash Bhavan will not be held on 28th September 2010 as the H.E. Minister will not be present. The deputation will be held as soon as the date of appointment is received. We were quite enthusiastic about the proposed demonstration on 28th, but I understand the problem. Let's keep our fingers crossed, and trust me, no matter how disconnected and disorganised we might appear to be, we are all together in this. thank you for taking the first step, we will run the marathon together.